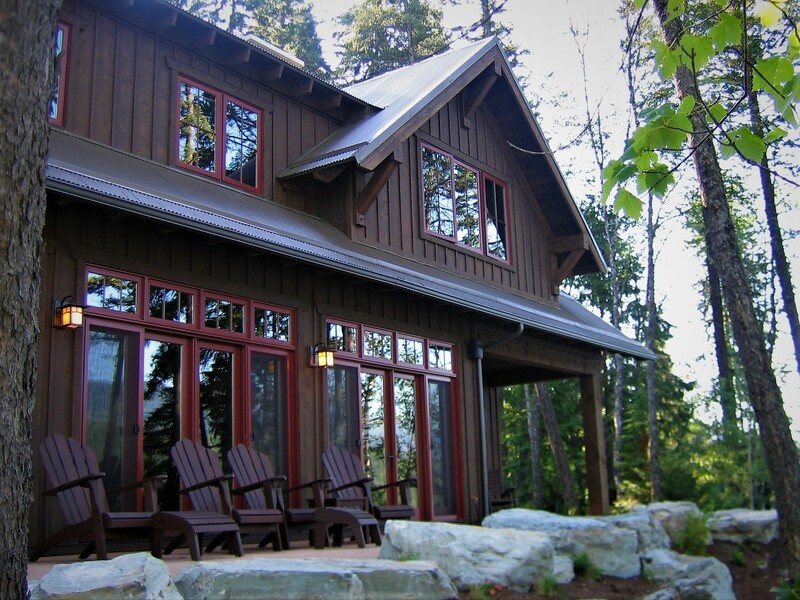 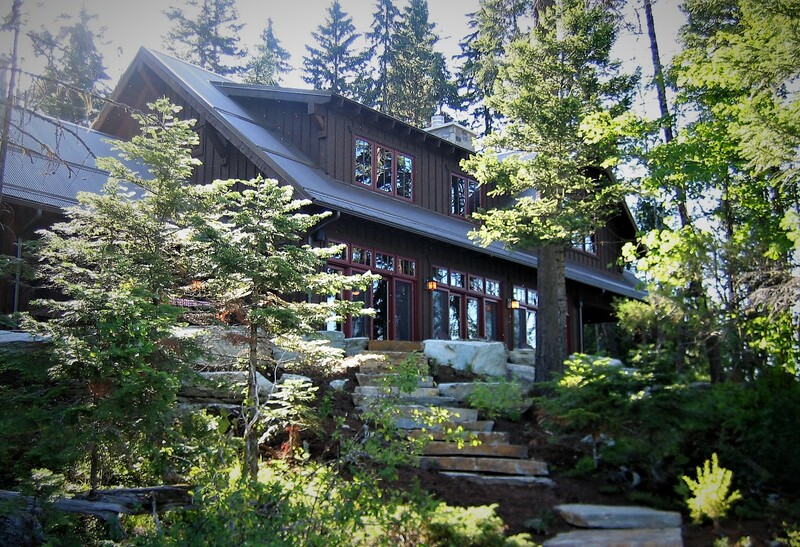 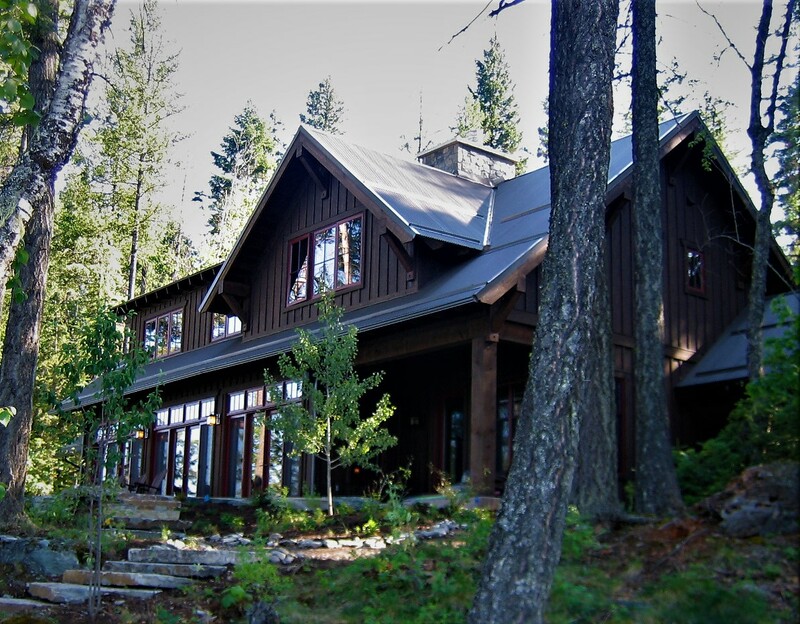 Nestled in the cedar trees on Swan Lake this family cabin is truly paradise. 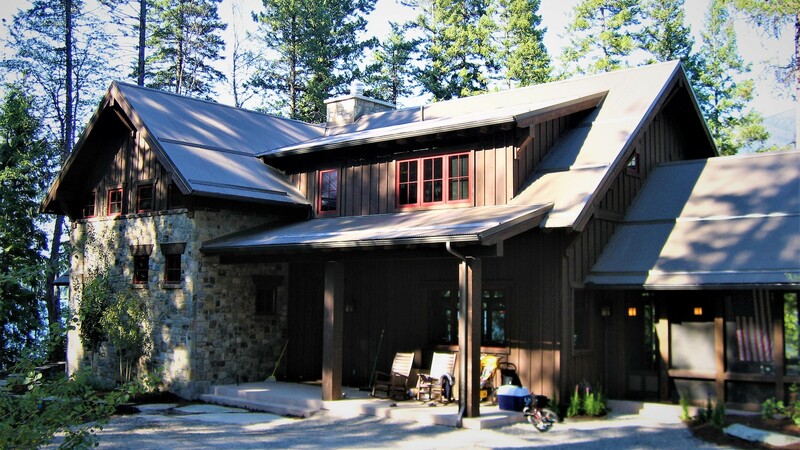 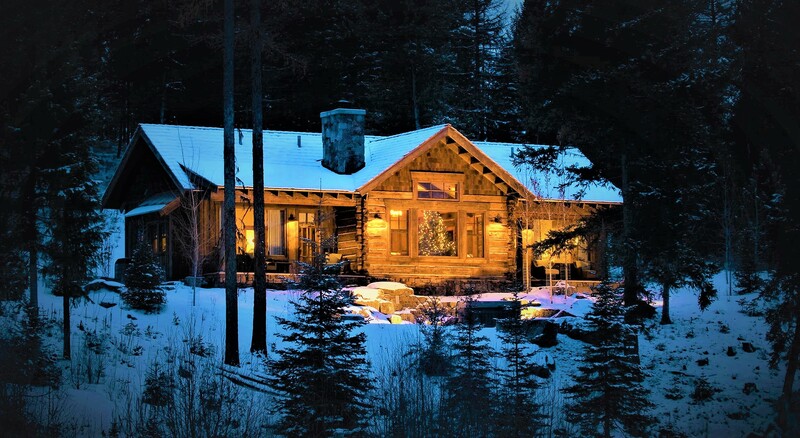 This Montana getaway mixes dark Montana timber beams with craftsman oak trim and details. 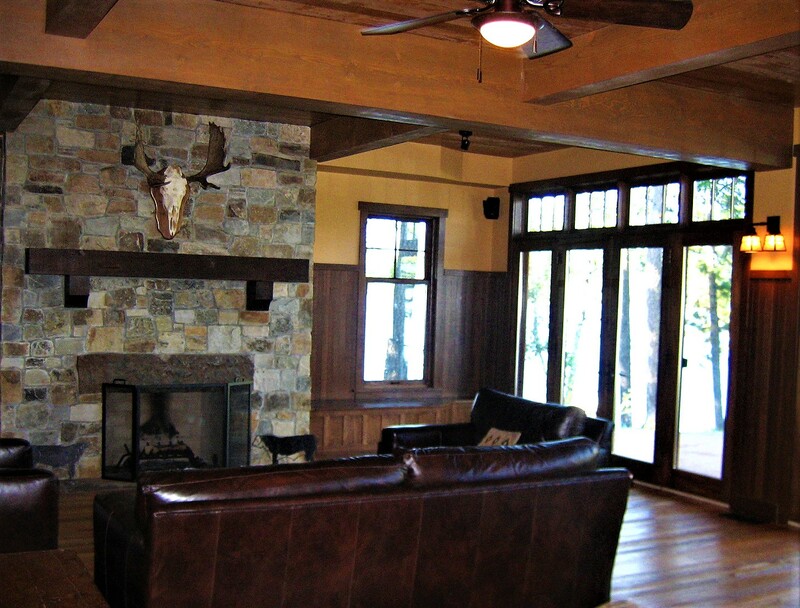 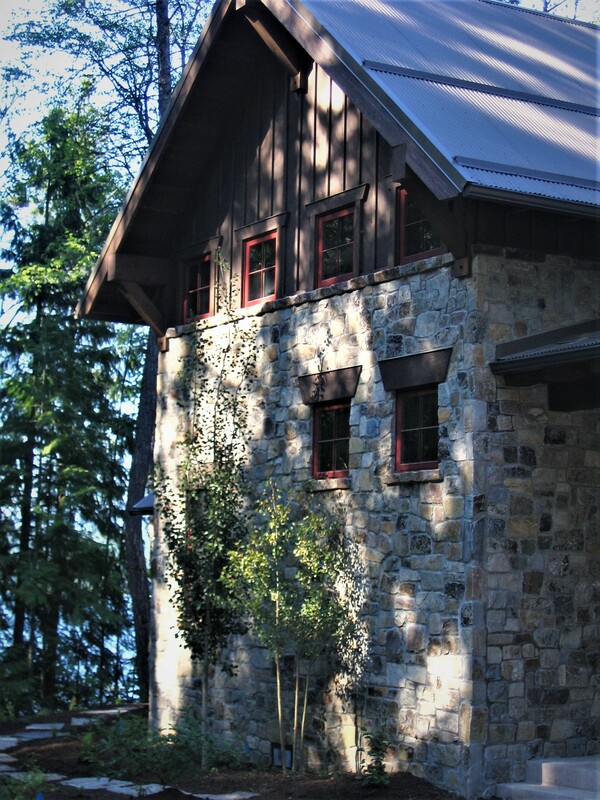 A screened outdoor room with stone fireplace and timbers completes the picture.